Incredible footage of Britain’s rarest animal has surfaced online, in the most unlikely of places. 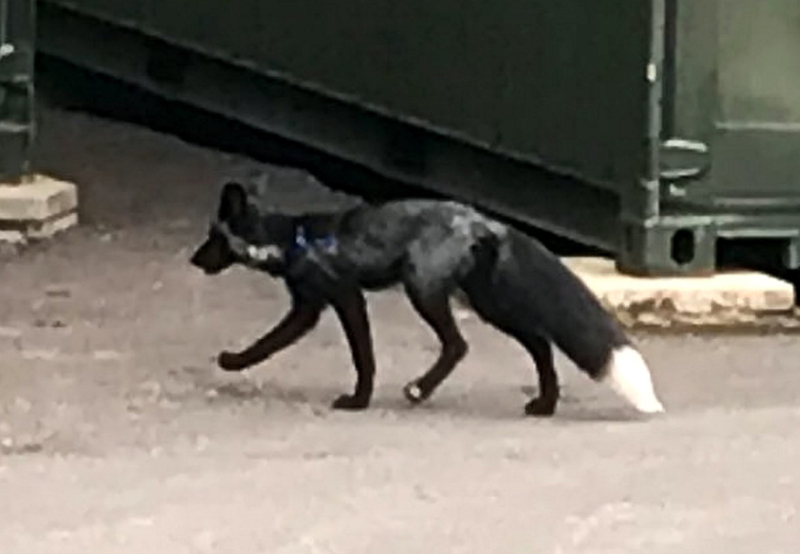 You expect rare animals to turn up in the middle of the forest or somewhere deep in the countryside, but this black fox was spotted in an industrial estate. The footage was captured by Sam Houghton, who works on the estate in Sale, Greater Manchester. Most fox cubs are born with dark hair before they eventually grow and develop the recognisable chestnut colour we all know. 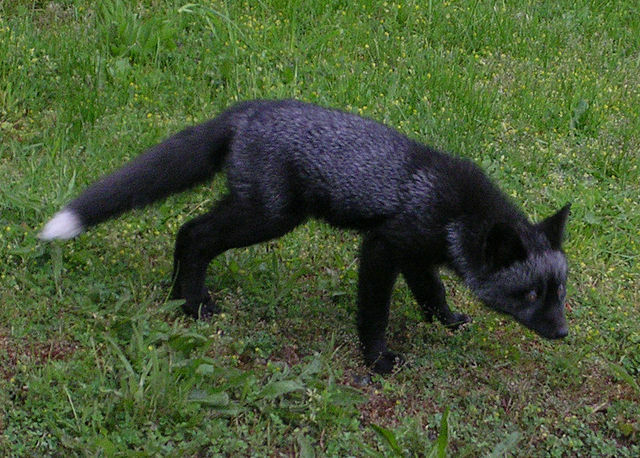 Yet some foxes never shed their black fur, thanks to a genetic glitch. Even if both fox cubs have the gene, there is only a one in four chance of having a black coat. We were loading up then he just came from nowhere and tried to jump into the van. I was scared to be honest and tired to jump out, then it ran away behind some of our containers. We waited a few minutes with our phones ready and he came back out – it was like he wasn’t scared of us at all. We were amazed when we saw it. We googled it and it was definitely a black fox. I couldn’t believe it when it said it was one of the rarest animals in the UK. There has been an increase in the number of black fox sightings, which has led people to suspect a mating couple are in the area. 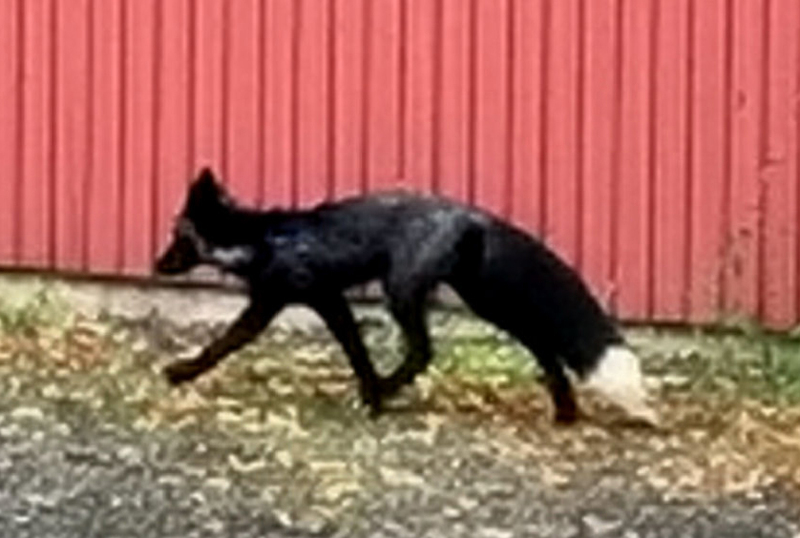 There are even suspicions the fox spotted is a relative of ‘Black Fox Bob’, who was only the fifth black fox sighting confirmed in as many years. 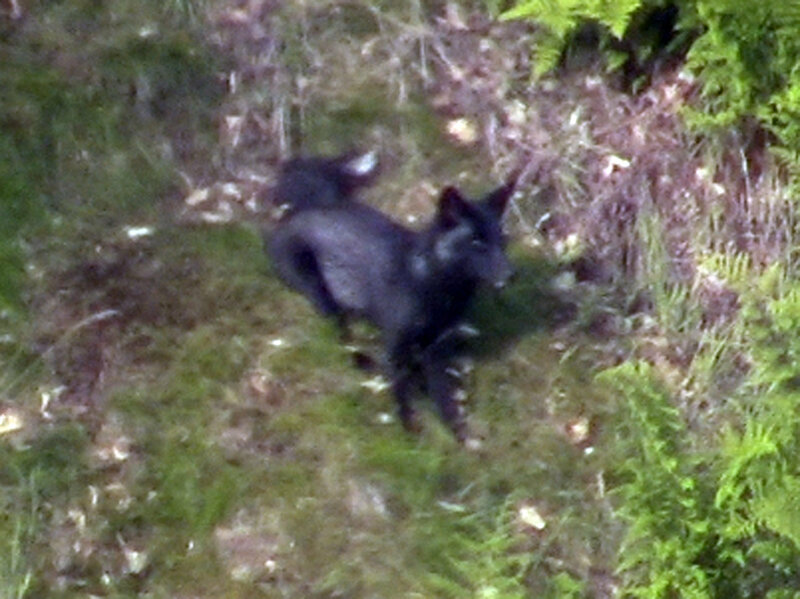 We have a suspicion the most recent sighting is the same fox and a relative of the famous Black Fox Bob. Melanistic [black furred] animals are naturally bolder than their non melanistic counterparts, and now breeding season is over and weaning is about to begin it may be that the fox just felt the need to take advantage of what people’s gardens had to offer. In the footage, you can see the fox look directly at the camera before slinking away. Black foxes are so rare because they used to be hunted for their fur.